A while back on Instagram I came across an amazing account. It was full of cat pictures and their Etsy shop product pictures. My Cat is People is a great Instagram feed and their Etsy shop has become a favourite of mine. Their pins and shirt designs are so adorable. 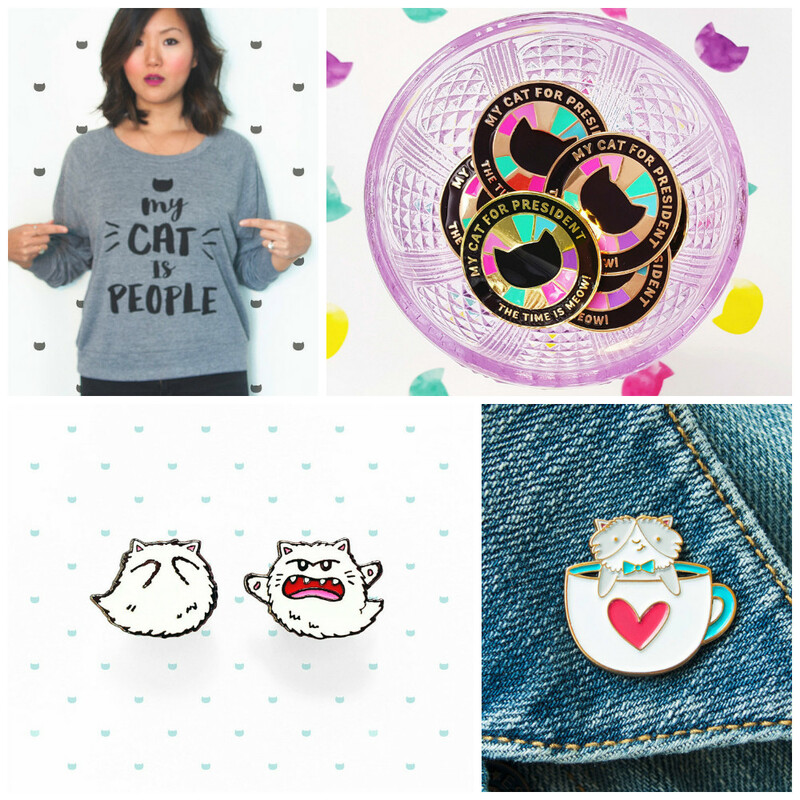 These are just a few of my favourite items from their Etsy. Cats + coffee = instant love for me. My Cat is People represents me completely. Go give their Instagram and Etsy shop a look!